It’s always exciting to be part of a national moment and as we approach Her Majesty the Queen’s Sapphire Jubilee, The Royal Mint presented yet another opportunity to land some fantastic coverage. Celebrating a remarkable 65 years on the throne, The Royal Mint created two coin designs to reflect on her reign, featuring a particularly apt quote from the first speech she made as Queen of England: “My whole life, whether it be long or short, devoted to your service”. 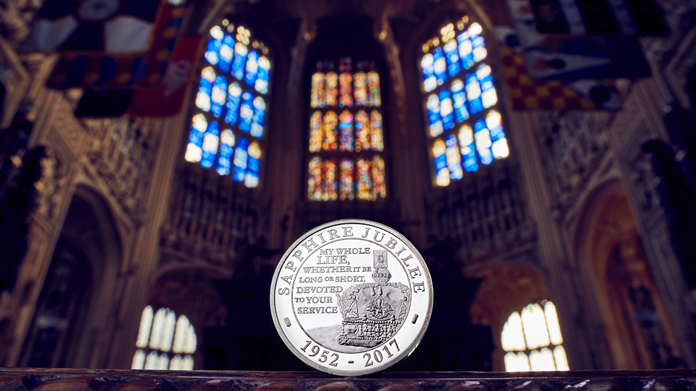 With designs that were sure to capture picture desks’ attention, accompanied by beautiful photography of the coins at Westminster Abbey, where The Queen was coronated, the team wasted no time lining up coverage with the royal correspondents. This was accompanied by a pre-placed feature in Hello! featuring photography and comment from royal expert Jennie Bond, and a Sunday-for-Monday sell-in to the news and picture desks. Safe to say, there was a right royal media storm, with a sweep of the nationals in print – Metro, i, Daily Mirror and Daily Mail, alongside meatier picture-led pieces in The Times and Daily Telegraph. The articles also ran online with The TImes, Daily Telegraph, Daily Mirror, The Sun, Daily Star and Daily Mail. Not to mention Sky Sunrise and a plethora of online news sites thanks to the story going out far and wide on PA, with the likes of SKY and MSN featuring our video content. And it didn’t stop there – regional coverage in Scottish Daily Mail, Metro Scotland, The Times Ireland and Yorkshire Post (to name a few).